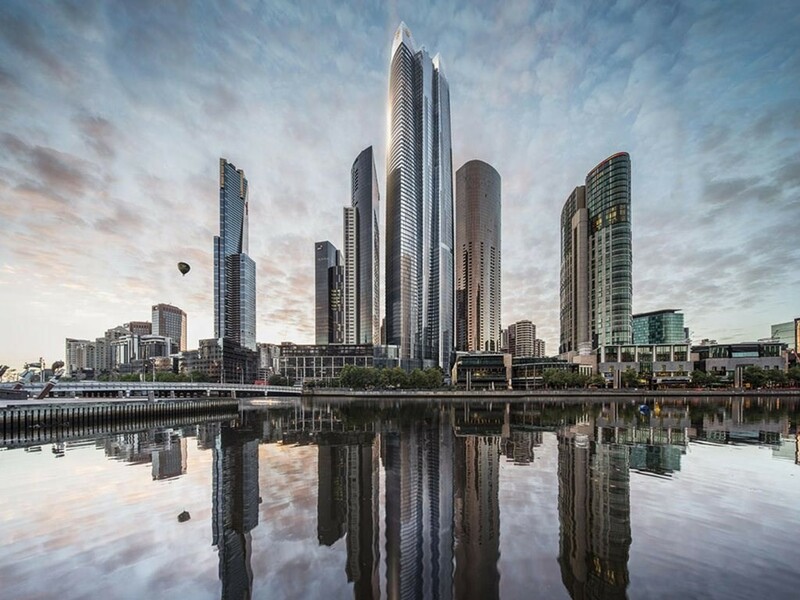 The Victorian state government has gazetted its amendment to the Melbourne Planning Scheme which validated the approval of Crown Resort’s 323-metre tower at Southbank. The information found in the document sheds light on the proposed $100 million public realm works that helped the developer get the project over the line. Crown and Schiavello Group will need to provide a Public Realm Improvements Plan within 12 months of the commencement of development which will include detailed design and landscaping of all public realm works proposed within close vicinity of the subject site. This will include a $25 million upgrade to Queensbridge Square, a $10 million contribution to improve Queens Bridge Street, a new Sandridge Rail Bridge that will cost $15 million, and another $15 million contribution to a new look Southbank Promenade and Boulevard. Interestingly this only accounts for 65 per cent of the proposed $100 million contribution. The extra $35 million, according to Fairfax investigations, will come from a viewing platform on the 90th floor of the tower which will be free for the public to use. The document does show a slight win for the Melbourne City Council who had expressed discomfort in being left out of the development approval process for the 1 Queensbridge Tower. As part of the amendment clause, the Public Realm Improvements Plan must satisfy and be approved by the Council. An amended Environmentally Sustainable Design (ESD) Statement will also need to be provided before development and demonstrate that the building achieves a 5 star rating under a current version of Green Star - Multi Unit Residential rating tool or equivalent assessment and a one point for Wat-1 credit under a current version of the Green Building Council of Australia's Green Star Multi Unit Residential rating tool or equivalent. Access the full gazetted document here or read the Public Realm Improvement Plans package information below. Install new 750 Stormwater Pipe and new Stormwater Discharge outlet between the project site and the river (from Queensbridge Square to Power Street. Re-commission “Immigration Story” moving figures or provide an appropriate alternative concept. Western side road narrowing with new green landscaping. Protect landscaping areas and direct water flow, to improve tree conditions. f) include details of surface finishes of retaining walls, pathways, kerbs and laneways; and g) detail the ownership, maintenance regime and management responsibilities for the public realm improvements proposed. 16. All improvements and/or capital contributions associated with Sandridge Rail Bridge, Southbank Boulevard and Southbank Promenade shall be made before the Residential Hotel that is included in Stage 1 of the building is occupied. All improvements associated with Queensbridge Square and Queens Bridge Street shall be completed before the final completion and occupancy of Stage 2 of the building unless otherwise agreed under the Staging and Construction Management Plan. All works associated with the approved Public Realm Improvements Plan as outlined above must be completed in accordance with the endorsed plans to the satisfaction of the Melbourne City Council.